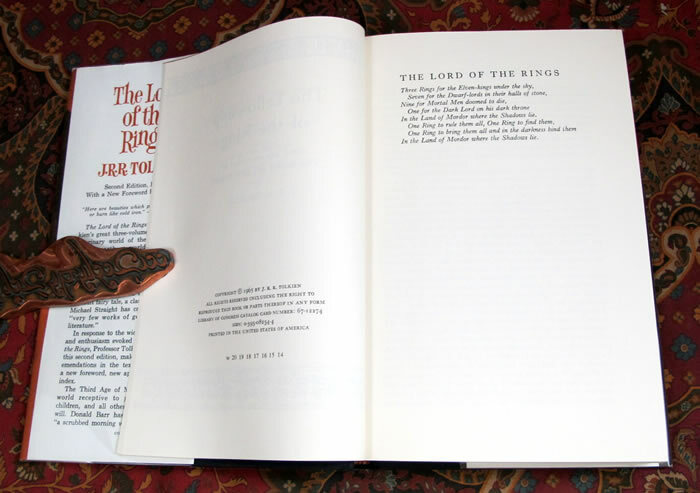 2nd US Edition, published by Houghton Mifflin, 1965 Second Editions, 14th/13th/13th impressions . 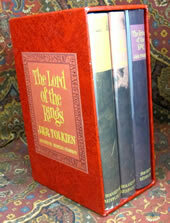 This set is housed in it's original, very scarce Publishers Red Slipcase. 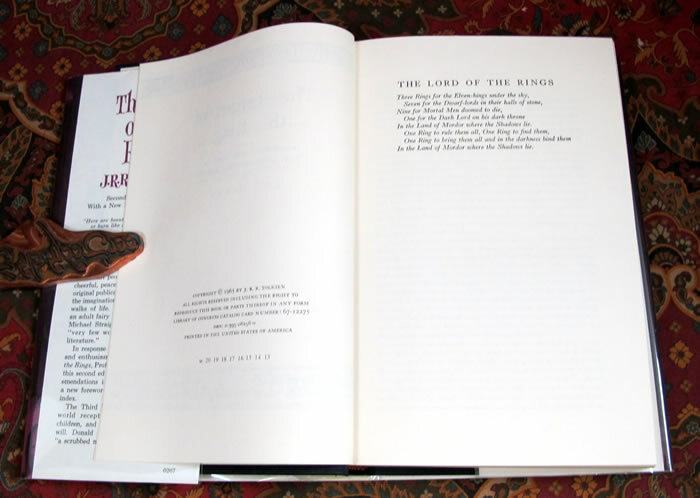 An exceptionally clean and bright set of this classic of fantasy literature. 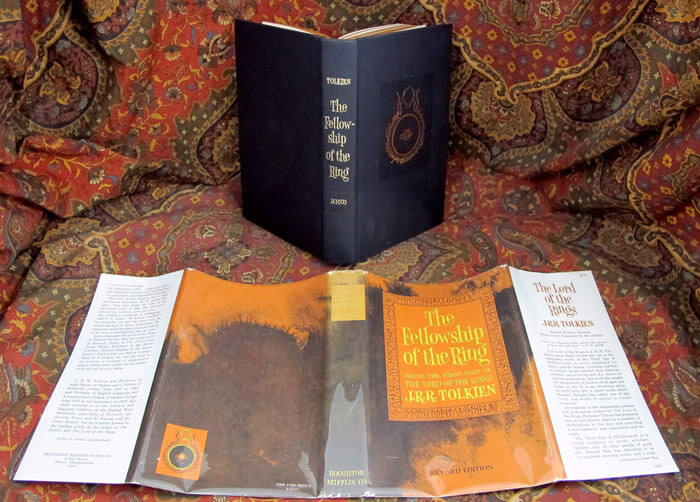 The set is in original cloth with the original priced dustjackets, now in removable archival protectors. 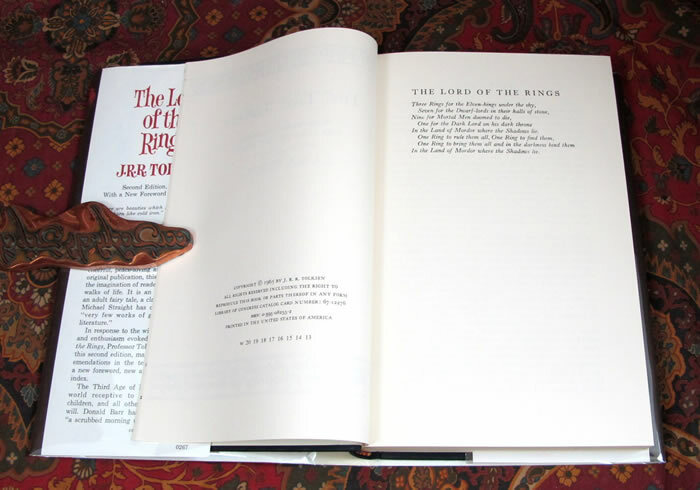 The books are all in Near Fine condition, with matching Very Good Plus/Near Fine dustjackets. 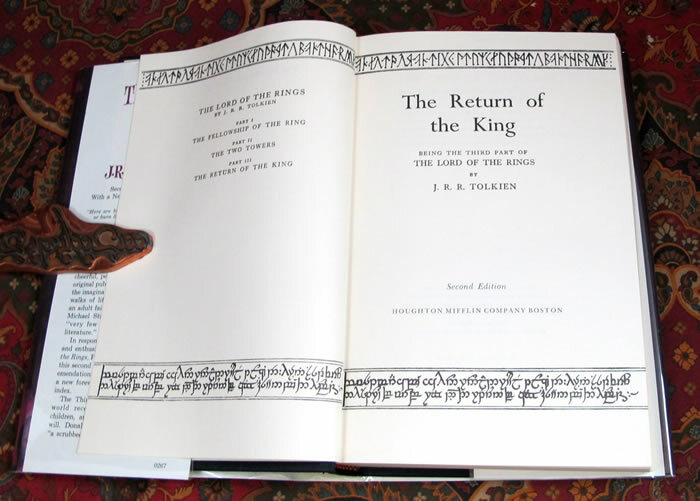 The previous owner has stuck down bookplates under the front flap of each book, no other writing or foxing whatsoever to the books. 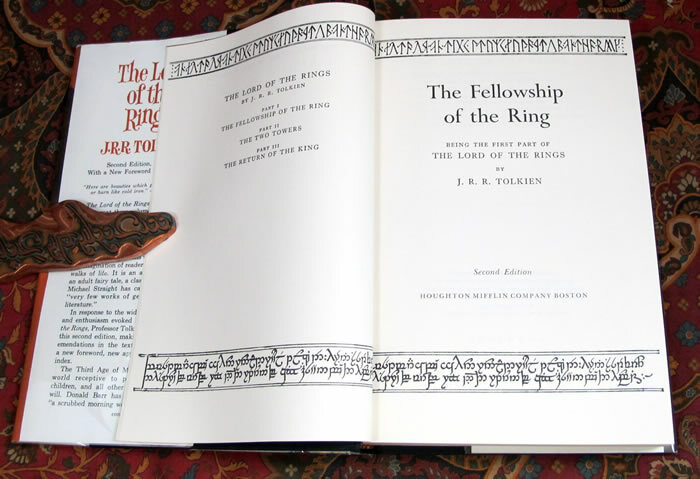 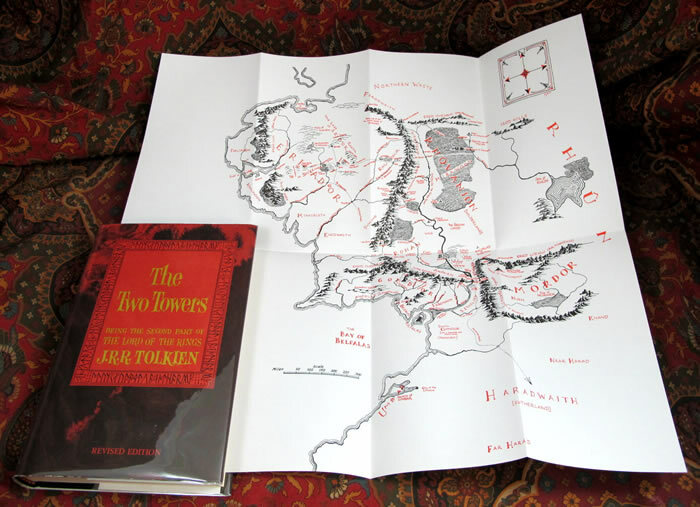 The Fellowship has some minor chipping and color loss at the spine ends, and the two other dustjackets show virtually no rubbing or wear. 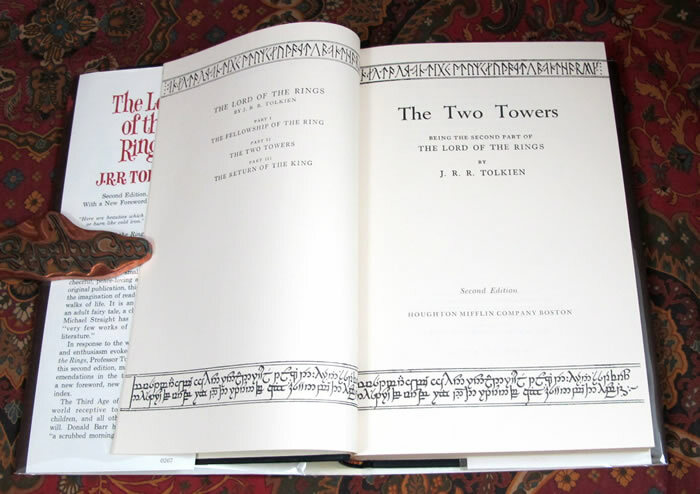 The spines are slightly faded as is the norm. 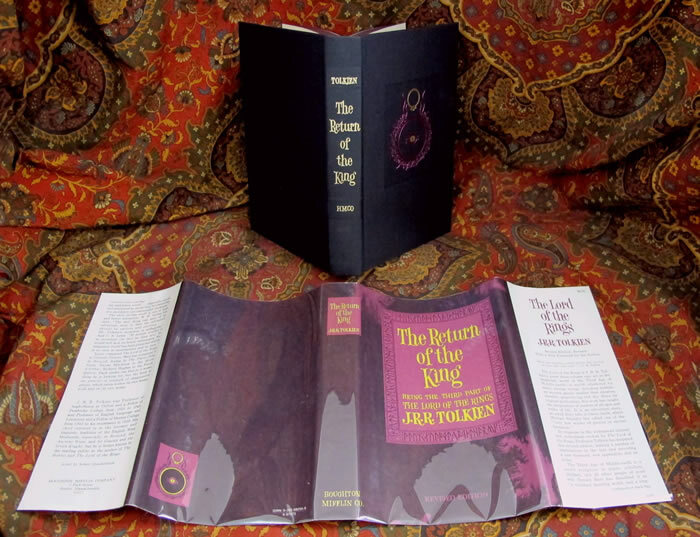 Dustjackets are priced and are not clipped, and none have the blindstamp on the rear boards, meaning these are true trade edition, not the very similar book club edition. 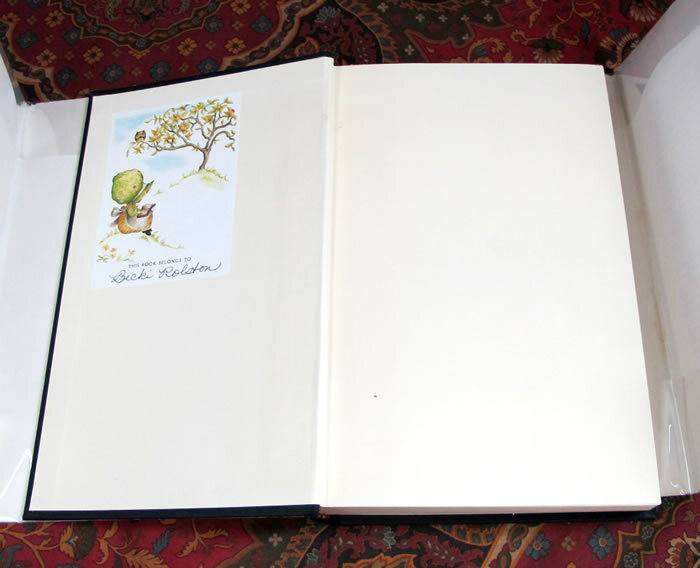 The topstain on the books is unmarked and clean, a bit darkened. 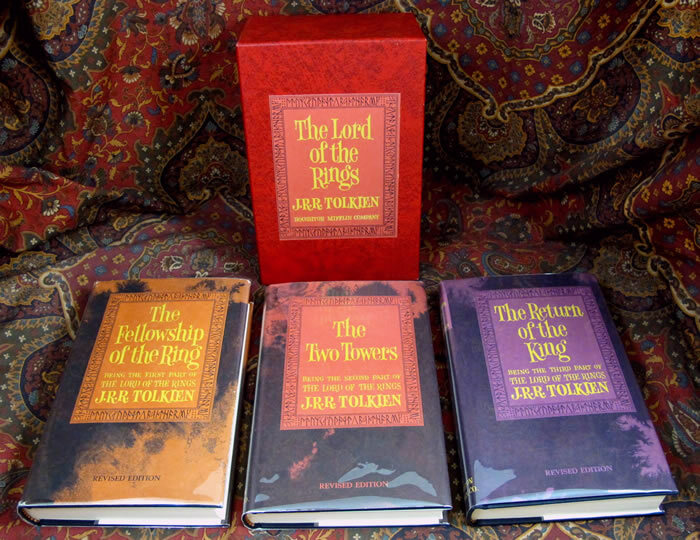 The set is housed in the original Red publishers slipcase in Near Fine condition, a very scarce slipcase. 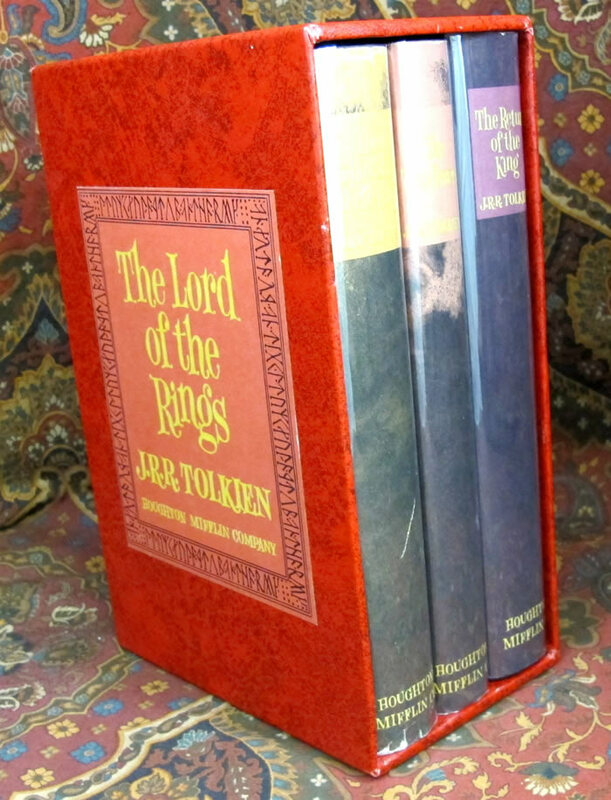 It appears that only one time in the many years of printings, did Houghton Mifflin furnish the red slipcase, all other years had a black case. 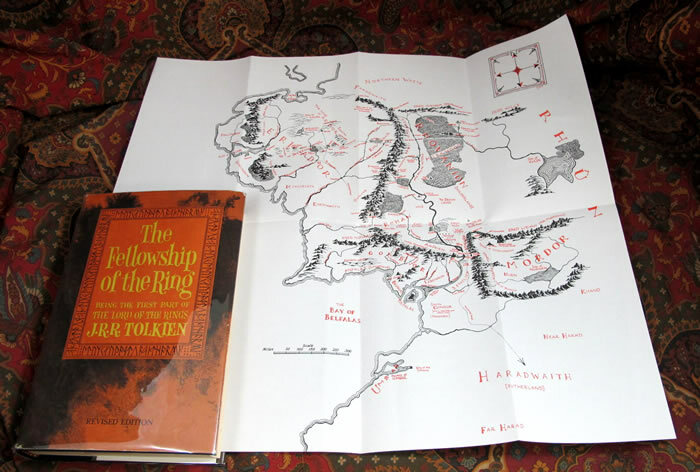 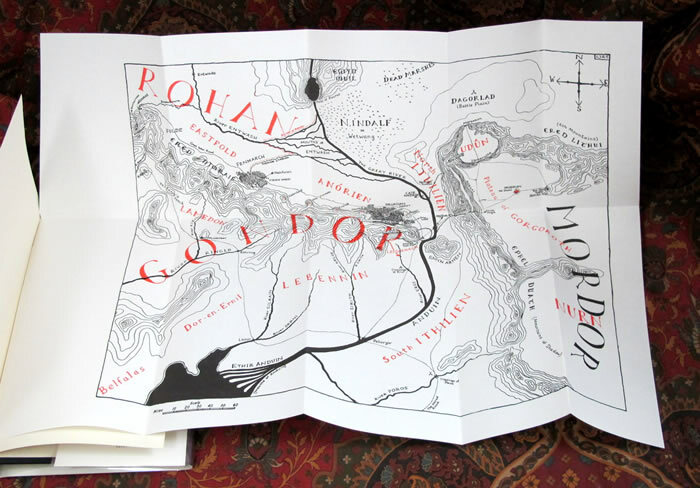 Original maps are attached at the rear, in Fine condition, with no extra folds, or tears to any of the maps.